Students at the Robert Gordon University in Aberdeen, have won a BDS victory which will go some way for the people of Palestine and the Syrian Golan Heights who’ve both spent so many years under illegal Israeli occupation, oppression and apartheid, those that is who were not ethnically cleansed from their lands in 1948 and 1967. As part of RGU People & Planet‘s ‘buy right’ campaign, the group of students made it their own campaign to ensure their University and Union would no longer fund apartheid through it’s contract with Eden Springs. The campaign is a UK-wide initiative pushed by students in order to uphold human rights and justice in the supply chain. Students across the UK are fighting corporations who infringe workers rights such as Adidas, makers of sweatshop clothing and those who profit from stolen water, who can’t even uphold international law including Eden Springs. The action targeting Adidas and other brands using sweatshops got national coverage in The Guardian which enabled activists to publicly condemn their university’s contract with Eden Springs. The students demonstrated in the University grounds in November, having taken off their clothes to be replaced with boxes in solidarity with sweatshop workers around the world tell their University to affiliate to the workers rights consortium. The student body gained national media with this campaign, as well as local press as Paul Greene (VP Environment & Ethics), commented on the University’s unethical dealings with Eden Springs. Other lobbying efforts by the students led the University to respond to a freedom of information request on the matter which stated: “The contract (with Eden Springs), expires in March 2013 and will not be renewed“. The University and student’s association, will change their procurement framework which will no longer include Eden Springs. Universities and students unions across the country have a commitment to society and this victory for BDS at RGU in Aberdeen will hopefully contribute to the continued successes of maintaining the rights of those who suffer under illegal occupation through BDS. BDS, for those unfamiliar with the acronym, stands for the Palestinian-led Boycott, Divestment and Sanctions campaign called for by over 170 Palestinian civil society organisations in 2005 (About BDS). This applied the model of the BDS movement which played a hugely important supporting role in the downfall of the apartheid regime South Africa. As an Israeli company Eden Springs is a legitimate target for the BDS movement, the fact that it is a water company and and the nature of it’s activities make it’s presence in universities and indeed any public institution in a progressive society an abomination. Eden Springs is wholly owned by the Israeli company Mayanot Eden which extracts water from the occupied Syrian Golan Heights for commercial sale in Israel, illegal and indeed a war crime under the Geneva Conventions, International and Humanitarian Law (Eden Springs factsheet). Eden Springs are perhaps regretting making Scotland the base of the UK operations. 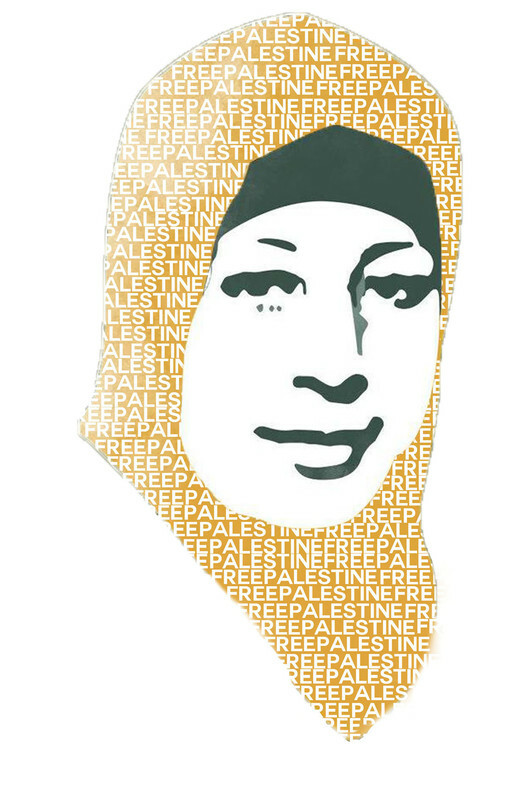 Scottish Palestine Solidarity Campaign (SPSC) identified them as a valid target for the BDS movement and began a campaign against them in 2007 that has since been taken-up by other Palestine solidarity groups across the UK (LSE , Warwick ) and Europe . Israeli group Gush Shalom had been targeting Mayanot Eden since 1997 and in 1998 Ben & Jerry’s Ice Cream boycotted Eden. In Scotland, (university contracts aside) as a result of BDS campaigning and mass-circulation of campaign literature the list of contracts Eden Springs has lost has been growing steadily. These include all contracts with major Trade Unions and the Scottish Trade Union Congress (STUC), Caledonian MacBrayne Ferries both East and West Lothian Councils as well as their plum ‘water for guest-list’ deal at Scotland’s biggest music festival, T in the Park. By 2008 beginning to feel the impact of BDS in Scotland with the closure of their East Scotland depot. In 2008 a BDS motion against Eden Springs at Glasgow Caledonian University passed and put into effect the immediate cancellation of the contract at the Students Association building. The University agreed with appeal from now mandated Student Parliament to end their contract and phase-out Eden Springs to replace it with piped-in water. The university dragged their feet and it took persistent pressure from the Palestine society to keep the university to its word and finally in 2011 Eden Springs was finally gone from the university. Months after this 2008 motion at Glasgow Caledonian (the first of it’s kind we can find in the UK) Israel mounted it’s ‘Cast Lead’ massacre on Gaza. The result was a wave of student occupations across the UK and in Scotland and within the BDS demands of the student activists was that their university boycott Eden Springs. This resulted in cancellation of Eden Springs contracts at both Edinburgh University and Strathclyde University in Glasgow as well as a successful motion at Dundee University Student Association. Like the Glasgow Caledonian motion this secured an agreement from University management to phase-out Eden Springs and switch over to piped-in water. Again, this took persistence from Dundee Action Palestine Society and a second motion to ensure it actually happened. The lessons for student activists are clear, university management tend to drag their feet and really can’t be trusted to enact our BDS gains of their own accord. Boycotting Eden Springs was also in the demands of the student occupations at St Andrews University and Glasgow University during the ‘Cast lead’ massacre. SPSC discovered by using Freedom of Information legislation that in 2009 Eden Springs had written to Scottish Government agency, Scottish Enterprise complaining of the ‘difficulties they were facing’ due to BDS. Scottish Enterprise CEO Jack Perry replied 15 days later saying they were “limited in the action it can take to mitigate the effects of a boycott on the company”. However, it didn’t stop them trying. In January 2010 Finance Secretary John Swinney met with Eden Springs boss Jean-Marc Bolinger Following on from that meeting Scotish Enterprise awarded Eden Springs a £200,000 grant (of Scottish tax-payers money) to extend it’s operations in Scotland, by September 2012 they has spent £173,397 of that money. ‘Extending their operations’ actually means two things; Firstly, whether due to BDS or not, they are diversifying and moving away from water to provide lavazza coffee machines for offices. Secondly, these operations include it’s partnership yet another illegal settlement company, Sodastream, whose new Ecostream re-launch is being met with BDS campaigns from Brighton to Japan. It hardly needs to says how disgraceful this is, that an SNP-led Scottish government whose rhetorical support has given many hope that the independent Scotland they are trying to achieve would be a complete break from the historical and unwavering support for Israel of successive Tory and Labour governments in London is giving financial aid to Israeli companies involved and profiteering from the illegal occupation of Palestine & the Syrian Golan. In July 2010 Green Party MSP Alison Johnstone submitted an early day motion. to the Scottish Parliament demanding that this £200,000 grant be given back to the tax-payers purse. The hypocrisy of the Scottish government which has been rhetorically supportive of Palestinian rights was the message taken to the First Minister Alex Salmond’s official residence and Scottish Parliament during Israel’s most recent attack on Gaza. With Scottish government aid Eden Springs are diversifying to what extent this is due to BDS and how much it’s alleviating the financial cost on Eden Springs of the BDS campaign is unclear. What is clear, is that the BDS campaign targeting their lucrative water-cooler contracts has continued apace since John Swinney’s meeting with the Eden Springs supremo in January 2010. Later in 2010 as a result of complaints from the public Strathclyde Partnership for Transport (SPT) who run buses and Glasgow subway put a tender for alternative suppliers and switched companies. By September 2011 Eden Springs was finally gone from Glasgow Caledonian University with student president Matte Andrews commenting: “I am delighted to see that the hard work and diligence of both students and University staff has led to the removal of Eden Springs from the GCU campus”. In the same month Glasgow University Palestine Society re-launched the Boycott Eden Springs campaign begun by previous Palestine societies and their brilliantly-run campaign ended with success in March 2011. Campaigning continued elsewhere throughout the 2011/12 academic year; in May the NUS National Executive Committee voted to lobby universities end contracts with Eden Springs and support student boycott campaigns against the company. There was a quick succession BDS victories in the summer and autumn. In July, the long-fought campaign at Dundee University had finally achieved its goal and nearby Dundee College had ended it’s Eden Springs contract. A month later, a clean sweep of all Glasgow’s universities was complete when news emerged that the prestigious Glasgow School of Art was taking Eden Springs of it’s procurement list after BDS agitation by the Student Union and campus trade unionists. Then student president Sinéad O’Doinnail O’Doinne stated that “Ending GSA’s association with this blatantly unethical Israeli company was always on my to-do list when I was elected as president and I’m so glad Eden Springs are gone in time for my year in office being over”. Robert Gordon University have taken-up the baton and with our success the steady BDS momentum is maintained. We’re aware that our peers at Aberdeen University are looking their university’s dealings with Eden Springs and that UNISON members in the NHS across Scotland are keen to organise and target Eden Springs’ biggest prize it’s huge hospital contracts. We wish them every success. Eden Springs, like Veolia has become a juggernaut, a vehicle for BDS discourse that keeps bringing wins. Much work is needing done in Scotland; Veolia appearing to be expanding it’s business and Eden Springs as well as other BDS target G4S still enjoy large public contracts. There seems to be a political and economic realignment of the governing SNP based on who they think will vote “yes” in next year’s independence referendum. It’s once strong anti-war, anti-NATO left-of-Labour position seems to be have been abandoned for a more business-friendly, pro-NATO position which naturally aligns it with Israeli interests. Their support for Eden Springs is a reflection of this and we hope by continuing the momentum against Eden Springs we are helping underline Scottish civil society will not accept a pro-Israeli Scottish government. It will demand that the independent Scotland that many of us want to see come about reflects the progressive nature of Scottish civil society which continuously displays it’s support for the Palestinians in their long and just struggle for Justice. Let’s expand the BDS campaign to cover these other products that Eden Springs is now distributing, such ad Sodastream.